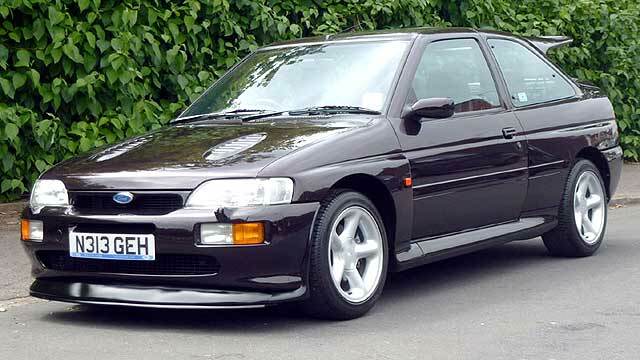 The Ford Puma is making a comeback, and will switch from a two-door coupe famously ‘driven’ by Steve McQueen in the 1990s, into a Fiesta-based small SUV to take on the Nissan Juke and Renault Captur. 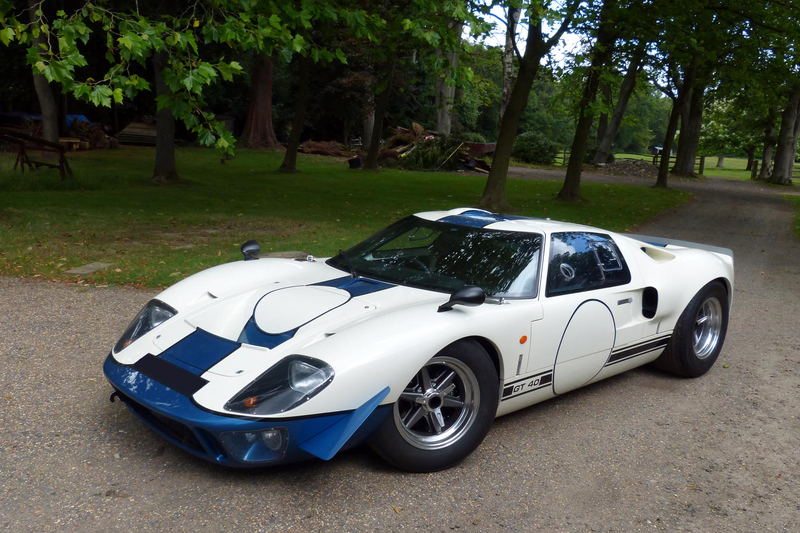 Ford gave a preview of the new car, hidden behind smoke and lasers, at its big Go Further briefing event in Amsterdam. The Puma will be revealed in full this summer, and go on sale later in 2019. The new Puma SUV will not replace the Ecosport, says Ford. 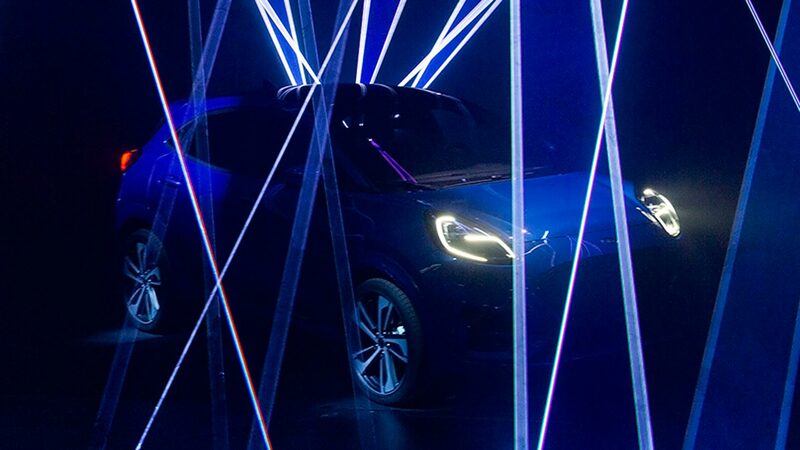 Rather, it will line up between that and the larger Kuga, which itself has just been revealed in all-new guise. 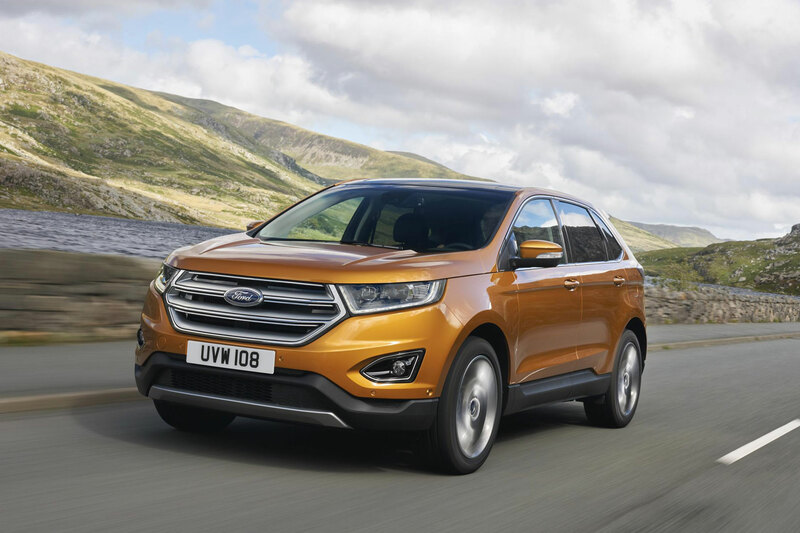 Collectively, the Ecosport and Kuga clocked up 65,000 sales between them in Britain last year, which the firm won’t want to lose. It hopes the new Puma will find many more additional buyers instead. 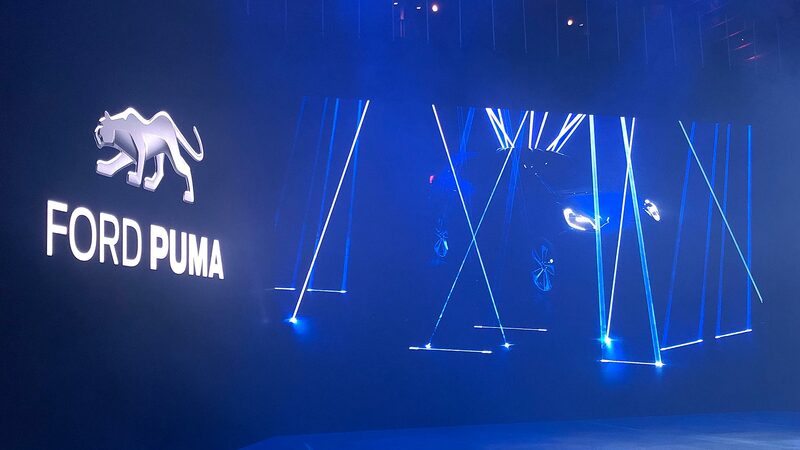 Other rivals for the new Puma include the Volkswagen T-Cross, Seat Arona and forthcoming Skoda Kamiq. 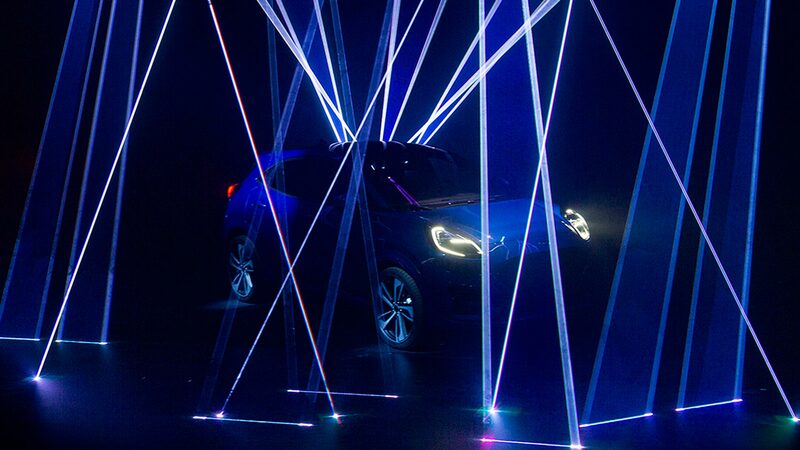 Obscured by a laser light show, the lines of the new Ford Puma can still be made out. 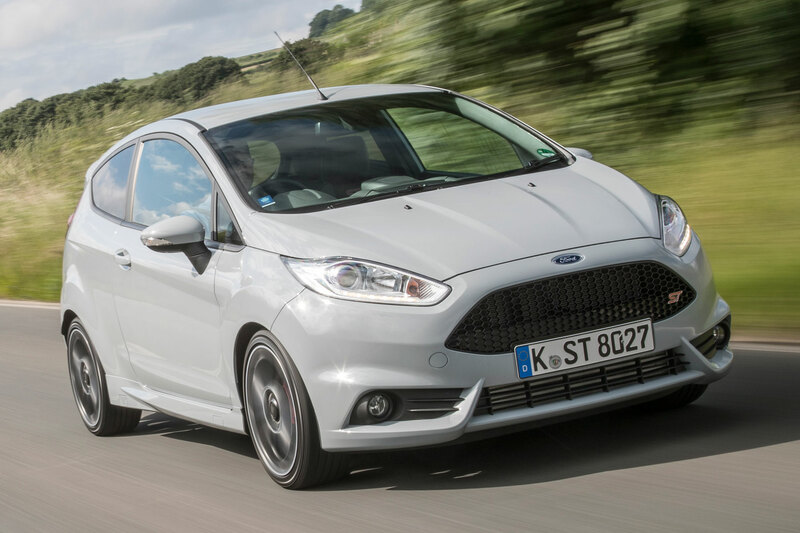 It appears compact and, like its rivals, should offer a ‘Fiesta-plus’ look and dimensions. The car has a tough, chunky stance, sits higher off the ground than a Fiesta and has exaggerated features, including its grille and wheelarches. 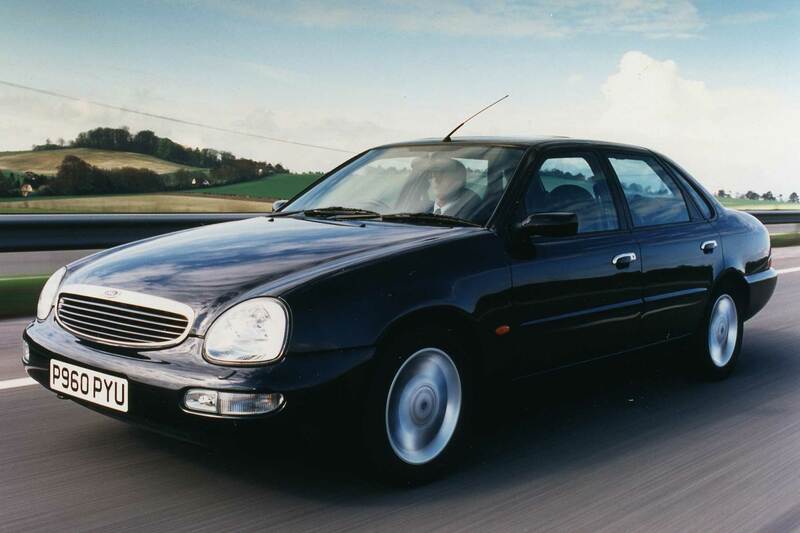 Curvaceous side lines feed into bold haunches at the rear, while a coupe-like window line that gets shallower at the back nods to the Puma’s coupe heritage. Practicality has been a real focus for the Puma development team. It will provide ‘best-in-class’ luggage capacity, with a 456-litre boot – much bigger than many family hatchbacks. 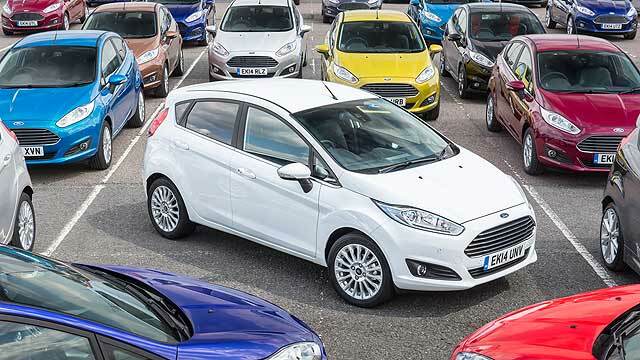 The deep boot is a result of customer demand, says Ford. It’s so big, it will swallow two golf bags standing upright. The new Ford Puma SUV will be available as a 48V mild hybrid. A 1.0-litre three-cylinder Ecoboost turbo petrol engine is paired with a belt-driven integrated starter/generator – that’s a starter motor that can also operate as an electric motor. With energy supplied by a lithium-ion battery back, it allows extended engine stop-start and also provides an electric drive boost to ‘fill in’ gaps in engine power. Ford has therefore been able to fit a much larger turbocharger, which is why the Ecoboost Hybrid Puma will produce a punchy 155 horsepower. 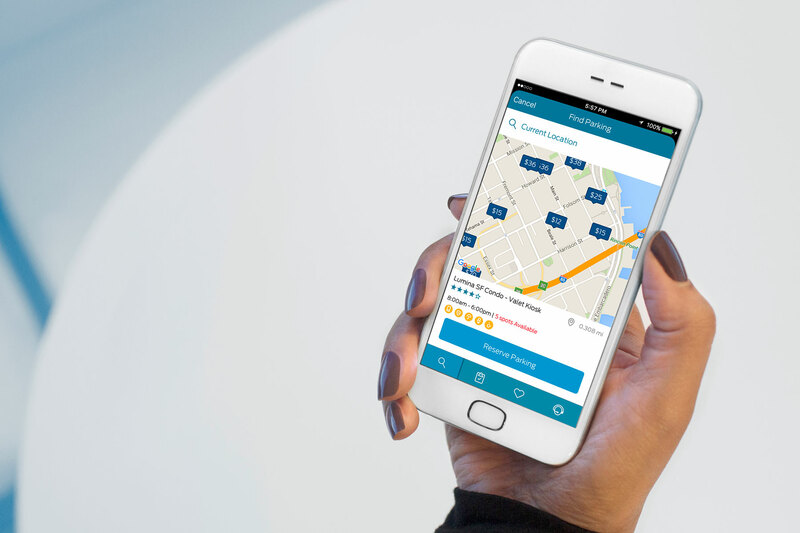 Fuel consumption will be low too, promises the firm. 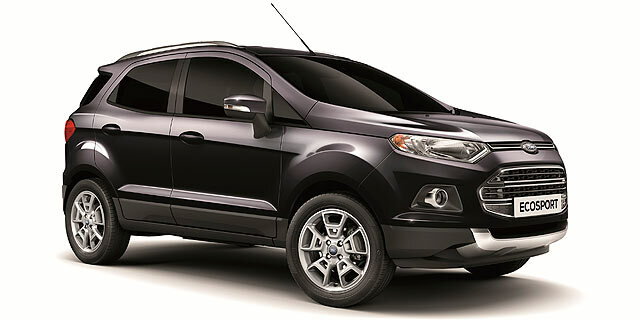 Other engines will be available, including non-hybrid versions of the fuel-sipping Ecoboost petrol. Ford will build the new Puma at its factory in Croatia. It is, however, described as an SUV for Europe, meaning exports to markets such as North America are unlikely. Bosses secretly believe that demand for the new Ford Puma crossover SUV will see the factory operate at capacity just to serve eager European customers.